New York-based design magazine Sight Unseen has recruited a string of famous faces — including actors Seth Rogen and Jason Schwartzman and stylist Mel Ottenberg — and partnered them with 13 designers to create a furniture capsule. 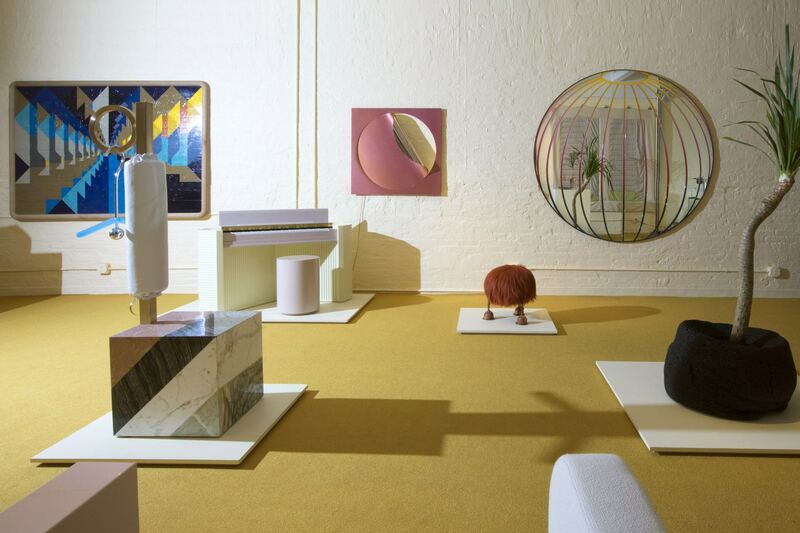 The Field Studies exhibition, which is currently on display in New York, includes everything from practical furniture such as chairs and mirrors to statement pieces including a piano and a glass cake stand. The stand-out pieces in the collection include the multicolored beach ball-style mirror made by Seth Rogen and Brooklyn design studio Bower, as well as Schwartzman’s pastel-colored pianet made with LA’s Wall for Apricots and possibly a nod to the actor’s work with Wes Anderson. Elsewhere, Ottenberg has produced a capsule of three quilts with architect Rafael de Cárdenas, Angel Olsen teamed up with Drew Seskunas from The Principals on a series of aluminium candle-stick holders and blogger Aimee Song has created an eye-catching hairy ottoman stool. The proceeds from the collection will go to charities chosen by each partnership. Posted in Design and tagged Aimee Song, Angel Olsen, architect, Bower, brooklyn, design, Drew Seskunas, Furniture Capsule, Jason Schwartzman, Mel Ottenberg, new york, Rafael de Cárdenas, Seth Rogen, Sight Unseen, studio, Wall for Apricots, Wes Anderson.